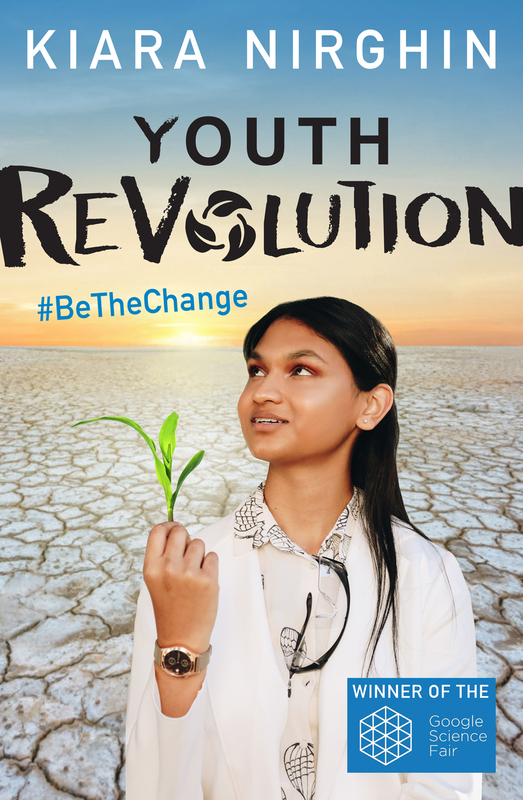 Youth Revolution is the inspirational story of how a sixteen-year-old high-school student from Johannesburg, Kiara Nirghin, overcame huge health obstacles to win the grand prize at the 2016 International Google Science Fair for her unique and innovative solution to worldwide drought. Having experienced bacterial meningitis, undiagnosed bilharzia and severe weight loss, Kiara was forced to postpone her school career for hospitalisation, with a real chance of losing her hearing, her sight and the use of her limbs. Youth Revolution not only covers her journey from the hospital bed to the stage as the winner of the science award, but also looks at issues surrounding stagnant youth innovation, while considering the dangers of lacking diversity in STEM (science, technology, engineering and maths). It also includes contributions from prominent women in science and education, among them Malala Yousafzai, VP of Education and University Programs for Google and the recipient of the L’Oréal-UNESCO Award for Women in Science. Youth Revolution is a deeply human and truly inspirational real-life story that will enthral teenagers and adults alike, and proves that even ‘ordinary’ teenagers can do extraordinary things.